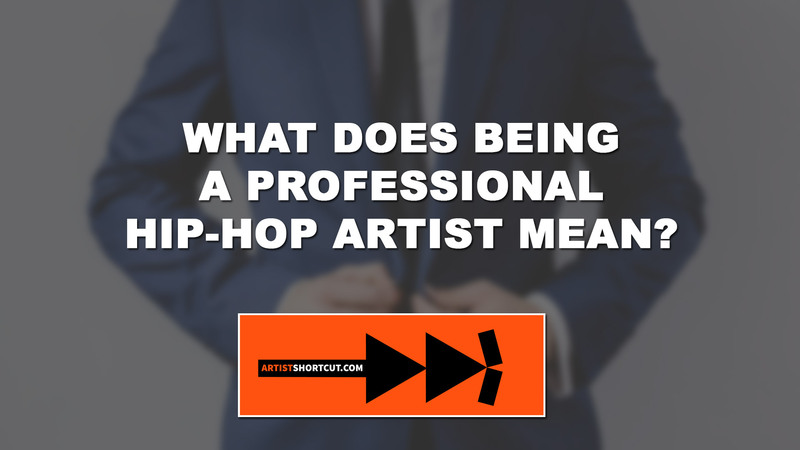 What Does Being An Unprofessional Hip-Hop Artist Mean? What Are Some Examples Of Being Unprofessional? Do I Need To Be A Professional Hip-Hop Artist? Are There Other Ways To Be A Professional Music Artist? Too Lazy To Google Search? A lot of hip-hop artists come from low-income urban areas where there’s little motivation for learning how to be professional. And thanks to the current nature of hip-hop, slang and disrespect is often glamorized and made to look like the “cool” thing to do. Upcoming artists observe this behavior and think being disrespectful and using slang is the “normal” thing to do. Now, I’m a full believer that communication is meant to get your message across. I also believe that good communication does not have to mean proper grammar and big words. But, depending on who you’re talking to and the way you’re communicating with them, you might come off as unprofessional – and that’s not good for business. Being looked at as an unprofessional artist is bad for a number of reasons. 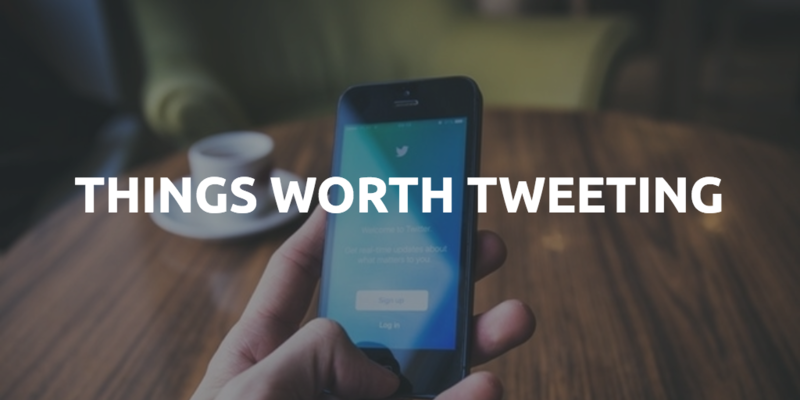 It makes things like building relationships, getting more opportunities, and ultimately making more money – more difficult. No one wants to work with someone that’s unprofessional, and they will try their best to avoid working with them – while recommending others to do the same. Basically, being an unprofessional hip-hop artist means that the way you act is not up to par with what is expected of you in that particular situation. 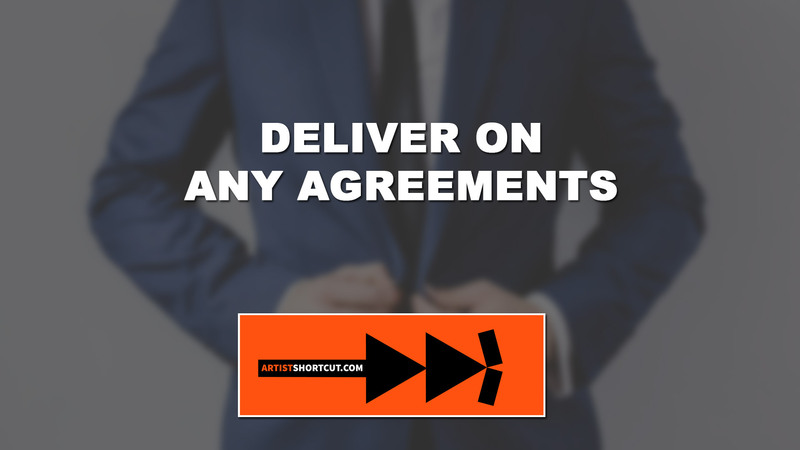 – If you have a meeting about a partnership deal and you come dressed in sweatpants and a T-shirt while everyone else has on formal clothing – you’ll probably be seen as unprofessional. – If you’re reaching out to someone you don’t have a close relationship with (like when contacting hip-hop blogs) and you’re using slang and “SMS language” (y u talkin lik dis) – you’ll most likely be seen as unprofessional. – If you tell someone that you’re going to do something and you consistently don’t do it, you might be seen as unprofessional. Being a professional hip-hop artist isn’t hard. It doesn’t require you to make a complete lifestyle change or “sell out”. All you need is a little discipline and to understand that the music business is still a business, regardless of how it may seem. 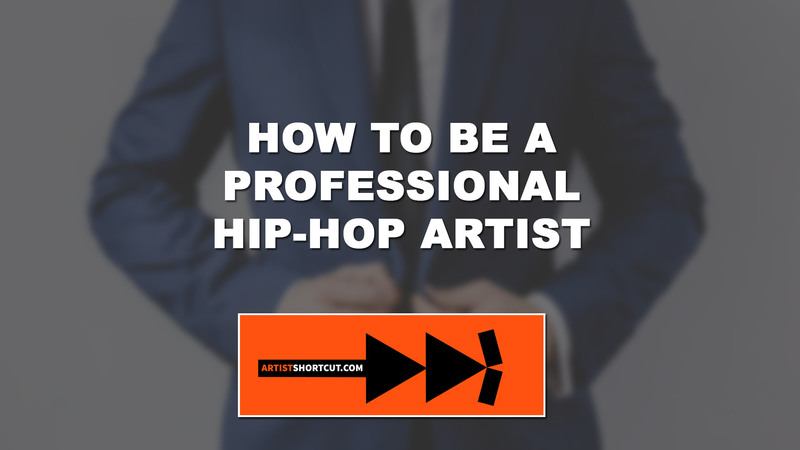 So, to help you avoid being labeled as an unprofessional hip-hop artist, I’m going to give you a few tips that should help you become a more professional artist. Being a hip-hop artist can sometimes get crazy and hectic, causing you to be behind schedule on certain task and activities. 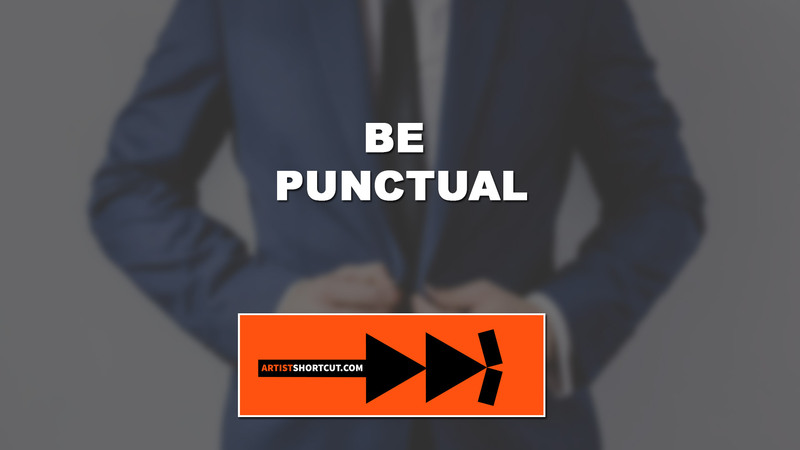 Regardless of the occasion, be on time (as much as possible). The more you show up to shows, meetings, and other events on time – the more professional you’ll look to promoters and everyone else that actually came on-time. To better manage your time and make it easier for you to be on time for events, use a free calendar such as Google Calendar. You’re already signed up if you use a Gmail account and the best part (in my opinion) is it’s easily viewable from almost every device you own. If you ever heard the saying “your word is your bond” then I’m sure you already know how important it is to do what you say you’re going to do – especially in the music industry. Your reputation is a big part of what’s going to make you a successful hip-hop artist – and tarnishing it by not holding true to your word is foolish. It’s hard enough trying to remember what you ate for breakfast 2 weeks ago, let alone remembering all the promises you’ve made to people. Similar to how you manage your time using Google Calendar, I’d recommend you use the “task” feature to write down your promises and then schedule it into your calendar to make sure it gets done. Now realistically, it’s probably impossible for you to have a 100% success rate with following through with everything you said you would do as your brand grows and becomes busier. With that said, make sure you’re consistently communicating with the people you made promises to and let them know ASAP if you’re no longer able to follow through with what you said you would…Which brings me to the next point. Communicating properly is an area that most upcoming hip-hop artists suffer from a lot. I can’t tell you how many emails I receive from artists speaking like we’ve known each other for years – when we don’t know each other at all. The style and tone of your email should correspond with the person you’re talking to. 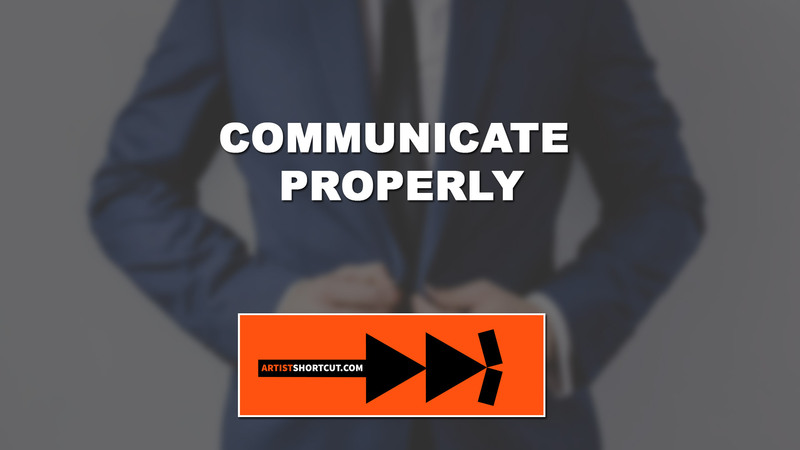 If you’re talking to someone about business – you should speak in a more formal manner until a relationship is built where that is no longer necessary. 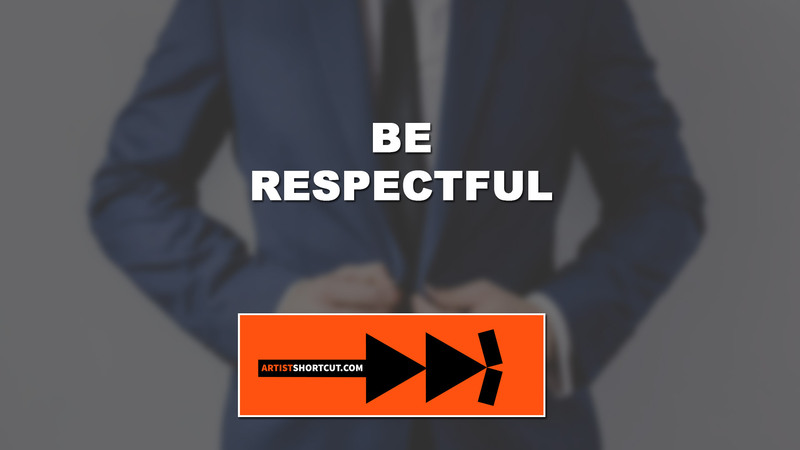 Being respectful to others should be common sense, but I’ve noticed that it’s not (especially in hip-hop). The moment you disrespect someone is the moment you begin to kill your relationship (or potential relationship) with the person. But that’s not all. By disrespecting one person, you’ll begin to burn your relationship with a lot of the people connected to them – and you never know when you might actually need that person or someone connected to them. For example, sometimes haters reply to my emails or leave me disrespectful YouTube comments. These messages are usually horribly written in an aggressive tone from people that will never get any real help from me. If their names are ever brought up in a conversation, I’ll make sure to save someone else the trouble of dealing with them as well. Now, if you disagree with something I’ve said or feel you have a better method for doing something, then you should 100% let me know – respectfully. We’re here to share information and help each other grow, not tear each other apart in an attempt to boost ourselves up. 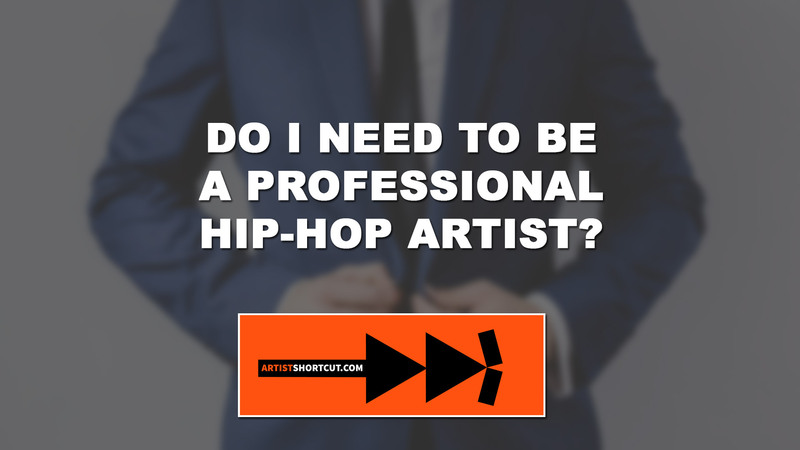 Do you need to be a professional hip-hop artist to become successful? If we’re being honest – no. But, like I said above – the professional artist will almost always have a better career and make more money than the unprofessional artist. Professional people love to work with other professional – because, it makes their job and life easier. Absolutely. The tips listed above will definitely help you become a more professional hip-hop artist, but are not the only things you could be doing. I’d recommend doing a Google search on being professional. Most of the tips and advice you find while Google searching will be geared towards those in a corporate environment, but can still be applied to your music career. Hey man I like what I read and definitely learned a few things. I left my email to you.. Hmu I’d like to learn a lot more on becoming a successful upcoming hip hop artist / rapper!